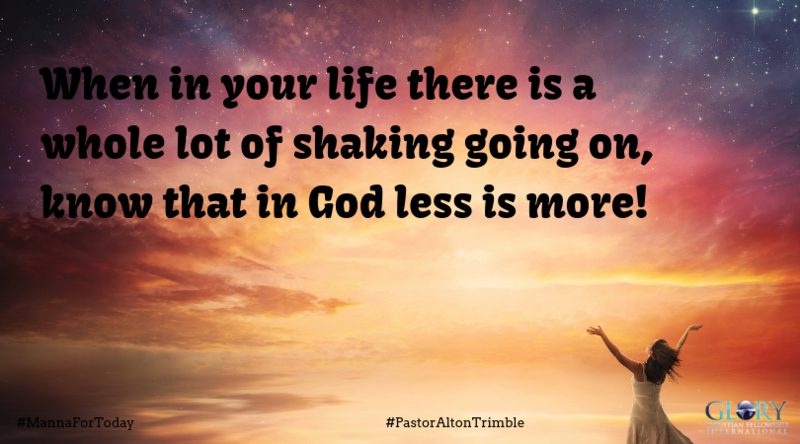 When in your life there is a whole lot of shaking going on, know that in God less is more! Lord thank You for your wonderful word this morning. Lord place people in my life that I can share You with. Lord give me a word in season for whomever I come in contact with. Lord let my thoughts, prays, words, and actions cause people to become interested in You. In Jesus mighty and matchless name! Amen! Amen! God is all around us. Thank you God for revealing yourself through your word and in subtle ways.